Fishing became secondary for a group of Southern California anglers Thursday after they encountered a massive great white shark feeding on a gray whale carcass. 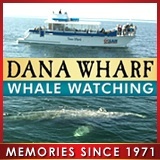 The accompanying footage, captured near the San Clemente Pier, shows the scarred predator swimming just off the stern of the 23-foot fishing boat, and moments later sinking its teeth into the whale. The anglers were part of an AllWater Charters expedition out of Dana Point. Allwater posted the video on Instagram and Marc Levine, the company’s owner, shared the footage on Facebook. The shark was estimated to have measured 17 to 19 feet, according to the Orange County Register. “So awesome and crazy to see a massive great white like this around here,” Marc Girardeau, an Orange County photographer, wrote in the Facebook comments section. A red lifeguard boat also appears in the footage. Lifeguards planned to tow the whale carcass farther offshore, so it does not wash onto the beach. The encounter occurred less than a mile from shore. By towing the carcass out to sea, it was hoped that the shark would be drawn farther from swimmers and surfers along the coast. 1,000-pound tiger shark caught by same captain twice in five years–what are the odds? Five years ago, Chip Michalove and his angling clients reeled in a tiger shark that measured 12-plus feet and weighed an estimated 1,000 pounds. On Tuesday, the Outcast Sport Fishing captain caught and released the same shark in the same area off Hilton Head, S.C., despite improbable odds of this ever happening. In fact, this is at least the third time the same tiger shark has been caught. On Tuesday, after a 45-minute fight one mile off Hilton Head, as Michalove maneuvered the boat and three clients took turns at the rod and reel, they had the shark alongside the boat. Scientists who encountered a 16-foot great white shark Thursday in the Mediterranean Sea say it represent the first confirmed sighting of a white shark in Spanish waters in 30-plus years. The sighting occurred off the Cabrera Archipelago National Park, part of the Balearic Islands off southern Mallorca (also referred to as Majorca). The expedition was led by Dr. Ricardo Sagaraminaga Van Buitem a Spanish-Dutch biologist. The voyage involved students and other biologists from Switzerland, the United Kingdom, Austria, and Germany. The group stayed with the adult white shark for more than an hour, but posted only the one photo on the Alnitak Facebook page. Great white shark sightings are extremely rare throughout the Mediterranean. The team is collecting data on sea turtles, sperm whales, dolphins, manta rays, and tuna. The expedition is focusing on the effects of micro-plastics on sea life. A college professor leading a tour in search of dolphins and seabirds off southwest England grabbed his camera just in time to snap photos of a breaching 15-foot thresher shark. “My camera was not nearby so I only got a chance to get two pictures, but I was lucky,” Tom Brereton wrote on Facebook. His stunning images reveal the acrobatic nature of thresher sharks when they decide to glimpse their surroundings from above the surface. Reached this week, Brereton said he was leading a Naturetrek Wildlife Holidays tour on June 15 in Lyme Bay when he saw a large creature breach in the distance. He assumed it was a bottlenose dolphin, another animal known for its acrobatics, and alerted the passengers. Brereton, a visiting professor at the University of Northampton and a marine researcher, estimated the shark to measure 15 feet and weigh perhaps 350 pounds. Thresher sharks are found around the world, but sightings are somewhat rare off the U.K., as the sharks tend to prefer warmer mid-Atlantic waters. The Atlantic thresher shark, or common thresher shark, is listed as “Vulnerable” by the International Union for the Conservation of Nature (IUCN). Thresher sharks are easily identified by a caudal fin (tail fin) that can measure as long as the body. The sharks have small mouths and are not considered dangerous to humans. They use their sickle-shaped tail fins to stun schooling baitfish. They’re incredibly fast and famously acrobatic, making them a prized target for anglers. Atlantic thresher sharks can measure 20 feet and weigh 1,000-plus pounds. The California Department of Fish and Wildlife has launched a criminal investigation regarding the death of a great white shark found Sunday on a beach in Aptos, Calif. The decision to turn the case over to law enforcement was made after a necropsy was performed at a UC Santa Cruz facility on Tuesday. Reached Thursday, CDFW spokesman Peter Tira said, "Our Law Enforcement Division has taken up the shark investigation as a result of findings from a necropsy conducted this week. I don’t have any more detail at this point." The carcass was discovered Sunday morning. There were small facial wounds, perhaps caused during a struggle with a sea lion, but there was nothing immediately visible to indicate how the shark might have been killed. Giancarlo Thomae, a marine biologist who helped transport the shark to the UC Santa Cruz lab, said several juvenile great white sharks are feeding in shallow water in the Aptos area. In calm weather, the sharks are clearly visible to boaters. Great white sharks are protected in state waters. Fishing for white sharks has been banned since 1994. A volunteer marine rescue group in New South Wales, Australia, is trying to determine why somebody planted the head of a mako shark atop a spiked fence around its facility. The macabre discovery occurred Sunday morning at Marine Rescue Shellharbour. It remains unclear whether this was merely a prank, or represents some kind of threat. Marine Rescue Shellharbour is part of the broader Marine Rescue New South Wales group, a nonprofit that receives some of its funding through levies on the sale of boat licenses and registration fees. Besides the shark head, volunteers at Marine Rescue Shellharbour found blood on a nearby jetty. Footage has emerged showing a kayaker being followed by a great white shark – and briefly ending up in the water near the shark – in shallow water off Santa Cruz, Calif. But is the footage misleading? The kayaker is real, and the juvenile great white shark, measuring perhaps 10-12 feet, is genuine. But a source who wished to remain anonymous told me that the kayaker is well-known in the Monterey Bay whale-watching community, and that this appeared to have been a publicity stunt. Others have expressed skepticism on Facebook comment threads. The implication was that the kayaker, an expert paddler, jumped off his vessel intentionally – the video does not show him falling overboard or capsizing – to add a danger element to the video. Gularte did not elaborate or identify the paddler. But Giancarlo Thomae, a Monterey-based captain, confirmed via Facebook message that he was the paddler. “Lost my glasses,” Thomae offered as an explanation for falling into the water. He said he was not in contact with Specialized Helicopters during his paddle, but he did inform the company that he’d be on the water Tuesday afternoon. Publicity stunt or not, the footage, captured from 1,000 feet above the surface, is interesting. Juvenile great white sharks are showing in shallow water off Santa Cruz, as they did last spring, to prey on bottom fishes and smaller sharks and rays. As viewers can see, the shark is curious about the kayak, and seems to have been briefly spooked when Thomae was in the water. It’s not clear how well he could see the shark, which was clearly visible from the helicopter. As of Wednesday afternoon there were 41 comments on the Specialized Helicopters Facebook page. A couple inquired about the identity of the paddler – even throwing out Thomae’s name as the man they suspected was the paddler. Most, however, were from people who seemed merely to appreciate the footage.